This should be good news, but what about those who have not benefitted from the upward market? What about those who did not receive help during the foreclosure crisis, or those who did, but lost their homes anyway? Who are the homeowners who were left behind and are still facing foreclosure? What, if any, work is being done to assist homeowners in a post-crisis market? On June 19, an Inter-Departmental Team (IDT) of the Seattle City Council issued a report answering some of these questions. The City Council directed the IDT to explore principal reduction and other foreclosure prevention programs that can help low-income homeowners whose home value is significantly underwater and may be at risk of foreclosure. The report revealed – not surprisingly – that the recession and mortgage industry implosion had a disparate impact in zip codes with higher numbers of low-income and minority-owned households. The report identified five Seattle zip codes that experienced the highest rate of foreclosure activities between 2011 and 2014. These zip codes include 98118 (Southeast Seattle, Genesee to Rainier Beach), 98106 (West Seattle, Delridge), 98108 (South Park, Beacon Hill), 98126 (West Seattle, Highpoint), and 98144 (Beacon Hill, Central District). Nearly 50 percent of the underwater and seriously delinquent homes in recent years have been located in these five zip codes, most of which have higher numbers of low-income households and homeowners who are persons of color, compared to owner-households in Seattle as a whole. Notably, the 98108 zip code shows a higher population of Asians than any other race. It also shows the most even spread between incomes among the five zip codes. The 98118 zip code, which is home to the second-largest population of Asians among the five zip codes, experienced the largest number of Notices of Trustee’s Sale issued each year since 2008. This issue hits home for me because I grew up in the Seattle Chinese community. I personally experienced the way in which communities of color have disproportionate access to legal services due to language barriers, not knowing who to call, not knowing what resources are trustworthy, and not having the ability to pay for services. These issues inspired me to go to law school to decrease these barriers for my community. After completing my first year of law school, I was drawn to Seattle University School of Law’s Foreclosure Mediation and Outreach Project internship, which I saw as an opportunity to reach out to distressed homeowners who are particularly vulnerable and disproportionately affected by these barriers. Through the project, I was placed in the Foreclosure Prevention Unit (FPU) at Northwest Justice Project’s Seattle office, located just a few blocks west of Chinatown. The FPU was one of several projects funded by the Attorney General’s National Mortgage Settlement, designed to provide free legal representation to low-to-moderate-income homeowners at risk of or in foreclosure. The FPU represents homeowners in foreclosure mediations under the Foreclosure Fairness Act, a law that passed in 2011. Foreclosure mediation is a process where a neutral third party (a mediator) helps a homeowner and their lender reach a fair, voluntary, and negotiated agreement to avoid foreclosure, such as a loan modification that changes the terms of the mortgage and makes payments more affordable for the homeowner. The FPU also helps people with other legal barriers to foreclosure, such as probate, family law issues, property tax issues, and obtaining a rescue loan. I was excited to use my language skills to help homeowners from my community, but I immediately noticed that the majority of homeowners I was helping were overwhelmingly white. Over the last 12 months, approximately 6.5 percent of callers to the FPU identified themselves as Asian or Pacific Islander. According to the U.S. Census Bureau, 8.6 percent of Washington residents are API, so calls to the FPU are disproportionately low. Of the Seattle callers who identified as API, one-third of them were non-English speakers, and half of them were located in the above-identified zip codes. This concerns me because people of color are more susceptible to being victims of fraud, sub-prime lending, and financial instability. In the API community, language barriers and cultural differences can create significant vulnerability for homeowners seeking a loan or a workout option in a foreclosure situation. What can be done about this? One option that the IDT proposed is a “Seattle Homeowner Stabilization Program,” in which the city would allocate $150,000 to an intensive program providing information, education, and referral services to connect homeowners at risk of foreclosure with free housing counseling and legal services, among other resources. The proposed program would specifically target areas that include higher percentages of low-income households with homeowners who are persons of color and areas that have been more heavily impacted by foreclosures. — Contact your Seattle City Council members to voice your concerns and get your questions answered. — Get help today! Anyone can call 1-877-894-HOME (4663) to access FREE housing counseling and get foreclosure assistance. There are free interpreters available. 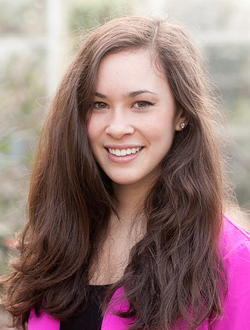 Diana Chen is a second-year law student at Seattle University School of Law. She currently serves as Miss Chinese Seattle First Princess, co-president of the Asian Pacific Islander Law Student Association, and staff writer for the Seattle Journal for Social Justice. She is passionate about social justice and loves to dance.